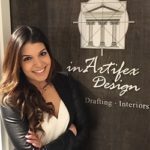 I live in Kelowna B.C and am the owner of a successful design firm – inArtifex Design Ltd. I am a newlywed, a new mother, and a successful business woman. I am learning at balancing all aspects of my life but always knew I wanted to make time to give back to my community. Being in an industry that is very male colonized, I get such pleasure and motivation to encourage woman to make the bold stand of leaving a footprint in what sometimes may feel like an unknown place. In working alongside Gems for Gems, I look forward to encouraging other women to be part of something so great, to support one another, and to truly make a difference. Stacey is a born and raised Calgary girl who always dreamt of owning a fashion boutique. She is now the proud owner and operator of DNA Dresscode, a women’s clothing store located right here in yyc. 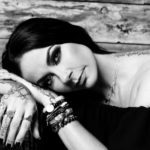 This career choice has not only allowed her to share her passion, love for fashion and people, but also allowed Stacey to be available to her beautiful son, her true purpose in life. “Jordan and I did a fashion show together a few years ago and when she took the stage and spoke about Gems for Gems, I was truly amazed! It was obvious to me that Jordan and I share a similar love for people but she has truly taken that up an entire level. 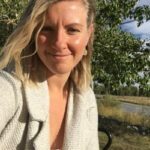 Apryl Dawn is a yoga teacher, writer and jewelry designer in Calgary. 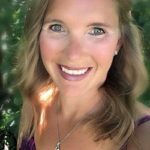 She is passionate about sharing and teaching from a place of experience and knowledge, and has been seeking a charity to back with the same passion. Gems for gems called to her not only because of the community in which it supports, but because of the incredible team of passionate and incredible humans behind it all. “Im happily married to my wonderful husband. We have two amazing boys, they are 12 and 8. My guys are the loves of my life. For as long as I can remember, I have always had a heart and passion for helping and serving people in challenging life situations. I thrive on being a light and making a difference in everyone around me. I believe that we all have immeasurable value and potential, we all have our place and purpose in this world each of us with our own gifts and talents. The more we Share, the more we Inspire, the more we Inspire, the more we Empower. 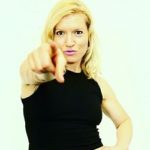 Amber Zenith is the Founder of High Fitness and is a literal and physical powerhouse! My life began when I became a mom, I feel beyond grateful that I was lucky enough to have babies with a safe and loving husband….. not all woman are as lucky…. With Mother’s Day coming, let’s spread awareness about domestic abuse and violence by joining Gems for Gems and posting a video about those amazing mamas in your life and what you love most about them! I love my work with e=mc2 events (with offices in Vancouver, Calgary, and Toronto) as their Director of Marketing & Sales. 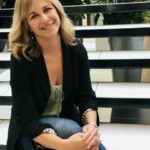 Prior to joining “e” in 2015, I was four and a half years as the Director of Marketing for RedPoint Media and Marketing Solutions, publishers of Avenue and WestJet magazines. With over 30 years of marketing and sales experience, I have built an extensive, ever-growing network and have met some incredible people along the way. One of which was Jordan. It was a meeting meant to be and I look forward to supporting such an incredible group of people doing great and amazing work. “My name is Karla Gourdeau and I have lived in Calgary all my life. I worked for an independent jewelry store for 7 years and am a Graduate Jeweller (aka I love all kinds of gems)! I left the jewelry industry for the less glamorous world of big corporate oil and gas where I currently work as a Chartered Accountant. I am passionate about women’s roles in a male dominated industry and hope to see more and more women in leadership roles and around boardroom tables throughout my career and never take my seat at the table for granted! I feel very strongly about what the Gems for Gems mission and vision is, I especially love the scholarship program as I’ve always felt so privileged to have the education that I do as it’s always been my safety net and I want to see other women be able to change their life circumstances through the scholarship program. 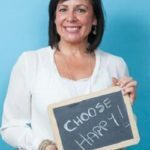 Passionate about helping women nurture their skin, beauty and soul, Dalyn takes women through her unique Goddess treatments that provide a total inner and outer journey to finding happiness, beauty and loving who they are. With her expertise, desire, and devotion, Dalyn works with you to understand your desires and provide you with an unforgettable and valued experience. 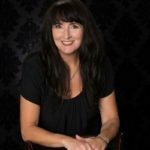 Dalyn is a Certified Professional Makeup Artist, Clinical Aesthetician, and Reiki Practitioner. She has three teenage children and lives in Calgary. consultations, makeovers, and bridal makeup in 1988, but lacked the confidence to follow my dreams. Instead, I did what I was told was the “right” thing and went into secretarial work. This led me to becoming an HR Professional for 15 years. During those years I developed my skills building my own HR, Training & Coaching business. I came to realize the importance of pursuing my passion after many life changing, eye opening experiences and being the target of bullying and abuse. I realized the patterns I had created in my life came from having no self-confidence and feeling of self-worth. I had to change my mindset, heal and recover for my life to change. Listening to my heart, I began following my dreams. Tapping into my talent, skills and desire for helping women shine, Daysdream was conceived. I am thrilled to join Gems for Gems as an ambassador because I am very passionate about helping empower women and I feel Gems for Gems and Daysdream is a perfect fit together! Maeghen is an Elite Martial Artist and entrepreneur with a long track record of helping people achieve their goals and dreams in the Martial Arts. Maeghen has 29+ years Martial Arts experience, holds multiple different Black Belts (5th Degree in Karate), and is a 11-time Gold Medal World Champion. Maeghen started martial arts at the age of 8 and now owns and operates the largest martial arts school in Canada. 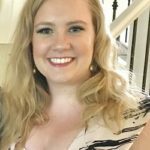 She has been the WKU Western Canadian Regional Director for the last 4 years, and she has been on Team Canada and coaching Team Canada athletes since 2005, and as of 2018 is Co-President of WKU Western Canada.